Lilly Looking Through: Charming, if a Tad Confused. I remember sitting in one of my university classes, it was Game Programming Techniques which I was giddy with excitement to be in, and being proposed a simple yet poignant question: how many of you have tried to code a game? The room was filled with students who had spent much of their past few years at university coding but out of the dozens of people there only a few raised their hands. The answer as to why was the same for all of us, we simply did not know how to go about it. Fast forward to today and thanks to tools like GameMaker and Unity it’s possible for anyone, even non-coders, to be able to create a production quality title. Lilly Looking Through is a great example of how these tools enable people to create, without the necessary background in flipping bits. Lilly is just like any other ordinary kid, letting her curiosity run wild as she ventures around her own little world. One day though something strange catches her eye, a piece of cloth that appears to move with a life of its own. However she can never seem to get close to it, the devious strip of cloth always flitting away at the last possible second. Then suddenly the cloth seemingly takes a dark turn, snatching up Lilly’s brother Ro and whisking him away faster than Lilly can run. What follows is Lilly’s journey to get her brother back, taking her through all sorts of wonderful and whimsical worlds. Lilly Looking Through has a decidedly Dinsey-esque feeling about it, with the backgrounds all being lovingly hand drawn. It reminded me of the many similar types of games I used to play as a kid like The Magic School Bus and Mario is Missing, albeit with the additional twist of all the animation being done using 3D models. The developers behind Lilly Looking Through should be commended for blending the two elements seamlessly as traditionally it’s usually very obvious where the distinction lies, something that I find quite distracting. The background music is also quite enjoyable, being a great backdrop to the sumptuous visuals. 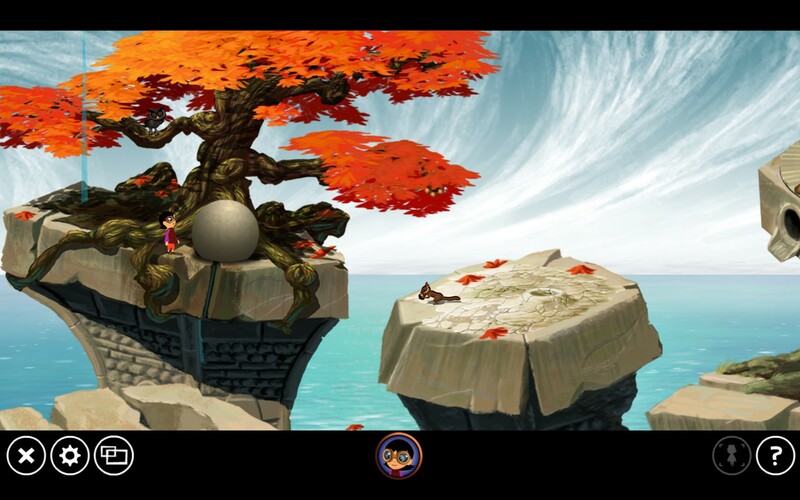 At its core Lilly Looking Through is a 2.5D point and click adventure game albeit without the usual trimmings of an inventory system and the requisite try this item with every other item to see if you can progress. This is quite typical of the indie scene where general mechanics are left to one side in favour of other things and, in all honesty, it’s refreshing to play a game that doesn’t have a cornucopia of things to do in it. 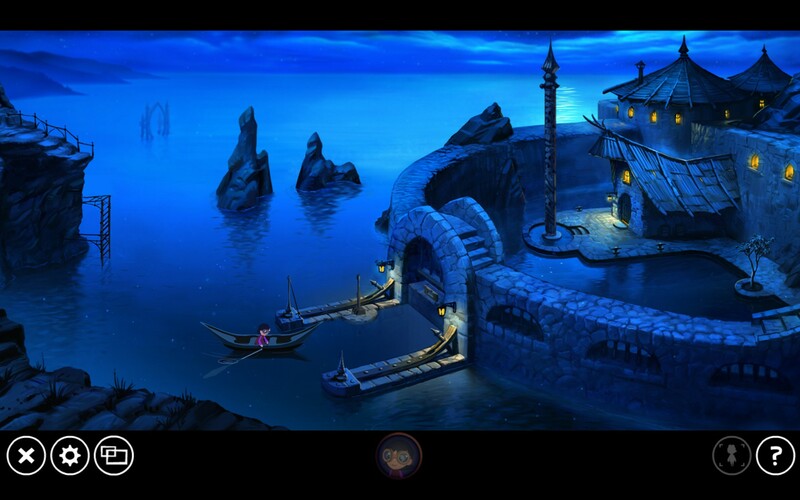 Thus the majority of your time in Lilly Looking Through will be spent solving puzzles and drinking in the scenery you find yourself in. The one twist in Lilly Looking Through’s puzzle mechanics is the use of her goggles you pick up early in the game. These allow you to switch between two different times in the same world, allowing you to accomplish things that would otherwise be impossible. It’s by no means an unique or innovative mechanic but it does do its job well by making you think about how to use the two different worlds effectively. The rest of the puzzles build off this mechanic, playing on the notion of time passing and setting up things accordingly. 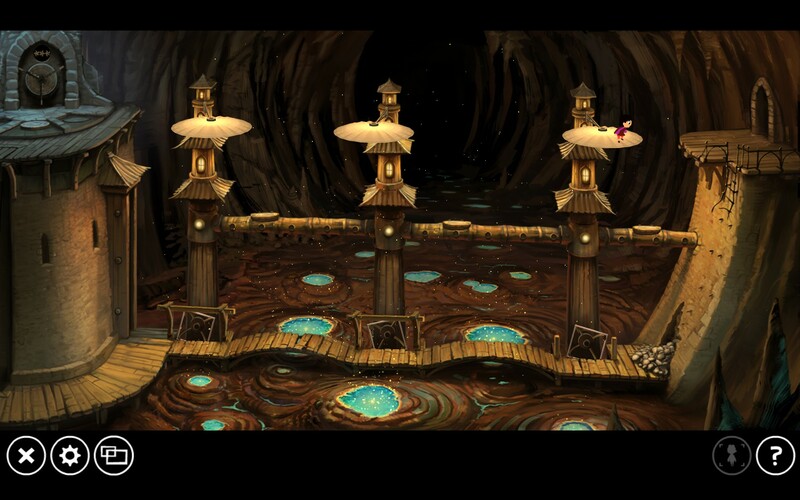 For the most part the puzzles are challenging, encouraging you to look at the scenery around you and figure out how everything interacts in order to unlock the next section. Indeed my favourite puzzle of the lot (shown below) required you to initially play around to figure out what everything did and only then could you approach it scientifically. However the puzzles that rely on understanding colour theory are, to be blunt, unintuitive and just frustrating. I have a basic understanding of how colours mix together but I know that there’s a major difference between mixing paint and mixing light and trying to figure it out intuitively just doesn’t work. It would be ok if this was just a single puzzle but the last few all rely on the colour mixing mechanic. The story is also pretty simplistic and whilst I’m not adverse to an absence of dialogue (indeed games like Kairo are a powerful experience) it did feel somewhat hollow. I think much of this stems from the fact that Lilly Looking Through is heavily focused on the visual aspect of the game, and in that respect it does well, however it’s just not enough to carry the game on its own. Don’t get me wrong I think it’s still a great little story, especially if I’m guessing right in that their target demographic tend towards the younger generation, but it really is the bare minimum to keep it moving forward. 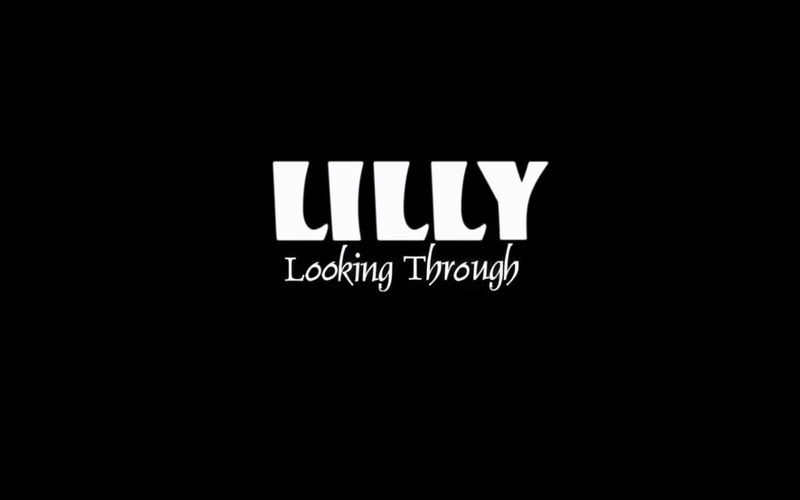 Lilly Looking Through is a gorgeous little game, one that rewards the player for being inquisitive with a visual display that is quite impressive. The early puzzle mechanics are fun and enjoyable however the later stages that assume some knowledge of colour theory unfortunately let it down, leading to a frustrating experience that feels more like luck than anything else. Still I think it’s a great little game, one that is probably best played by your youngest relative while you watch from the sidelines. Lilly Looking Through is available on PC and iOS right now for $9.99. Game was played on the PC with around 2 hours total play time.